Chad conflict - Update Sunday 03 Feb 2008 9 pm - Air Serv International, Inc. Heavy fighting continued in Chad’s capital, N’Djamena today between anti-government rebels and the Chad National Army. Air Serv International’s Chad country director, finance manager, and an aircraft engineer, who were in N’Djamena when the fighting broke out, were all evacuated safely. Aircraft engineer Elish Gokavi is now in Entebbe, Uganda, and CD Nik Potter and FM Gevorg Avanesyan arrived in Paris a short while ago from Libreville, Gabon. Potter and Avanesyan will return to Africa and await developments in Entebbe. Air Serv International’s Operations Manager, Thomas Maheshe, and two program pilots, Daryl Wade and James Powers, remain in the border town of Abeche, from where Air Serv International has been supporting UNHCR and NGOs working in the refugee camps along the border with Sudan. Air Serv International is a unique not-for-profit humanitarian aviation organization, established in 1984 to provide rapid response, emergency relief, medical and security evacuations and long-term development assistance. 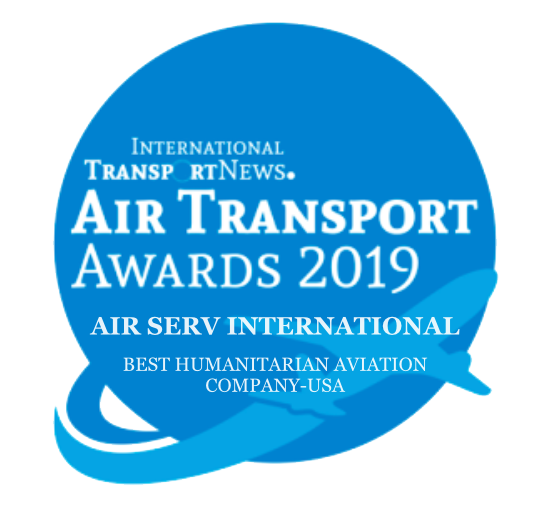 A key member of the international humanitarian community, Air Serv International works with nearly all humanitarian organizations active around the world.